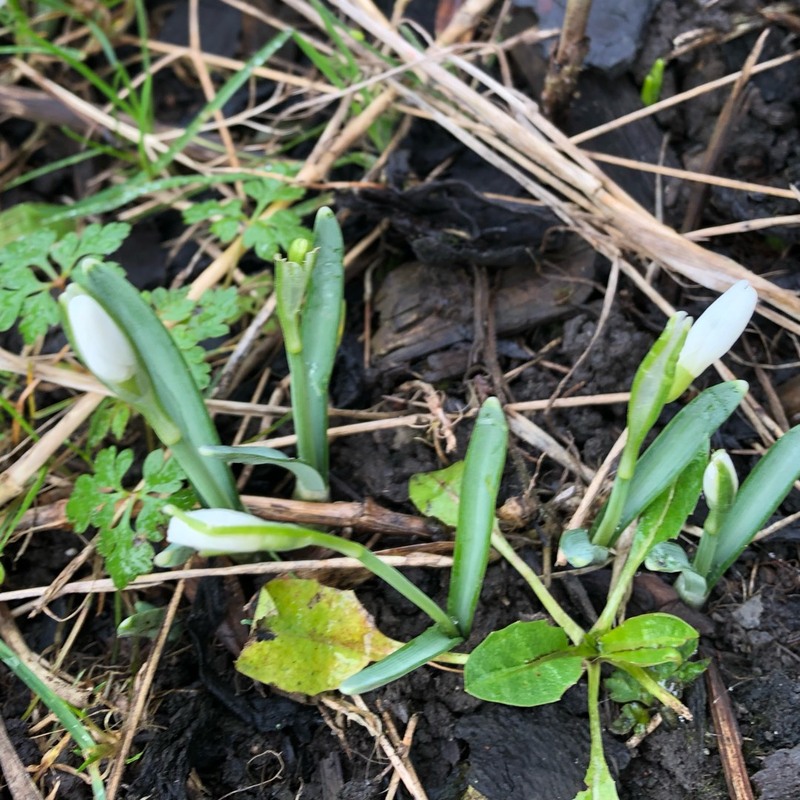 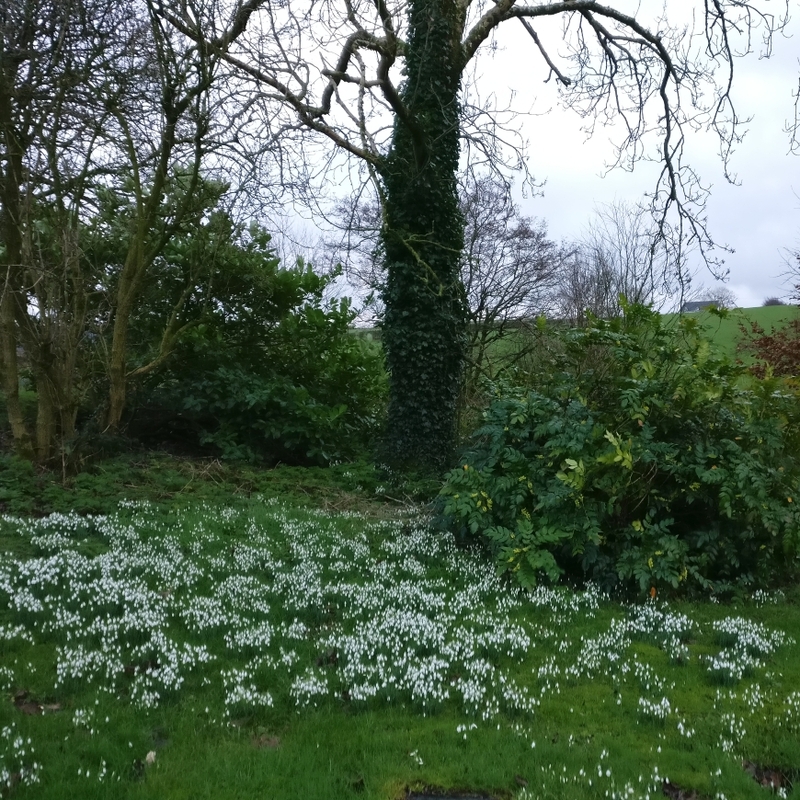 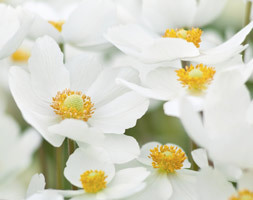 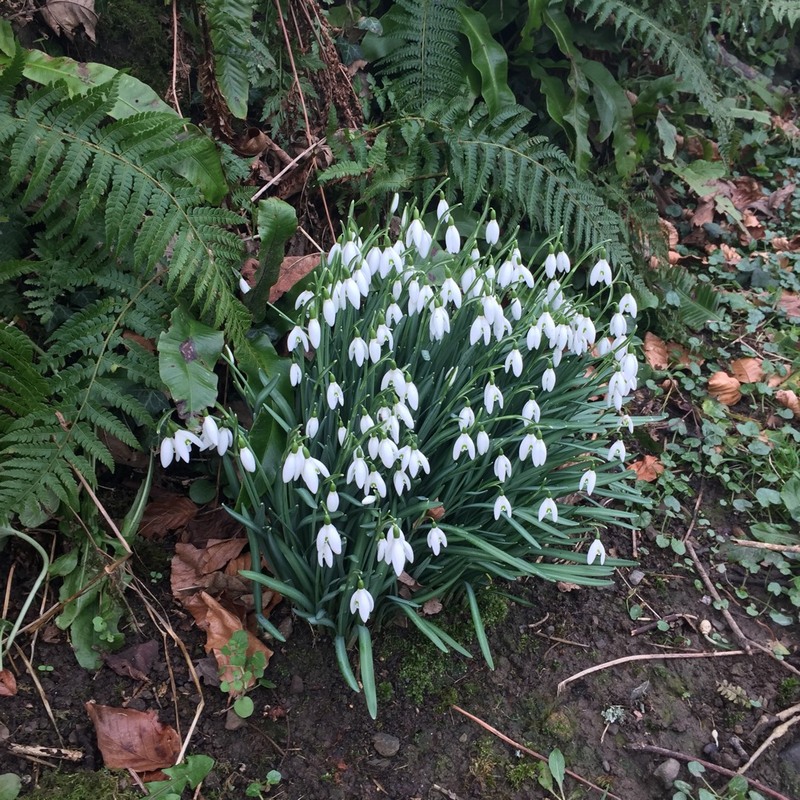 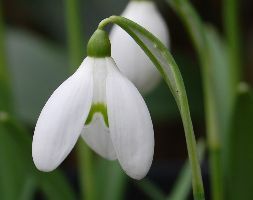 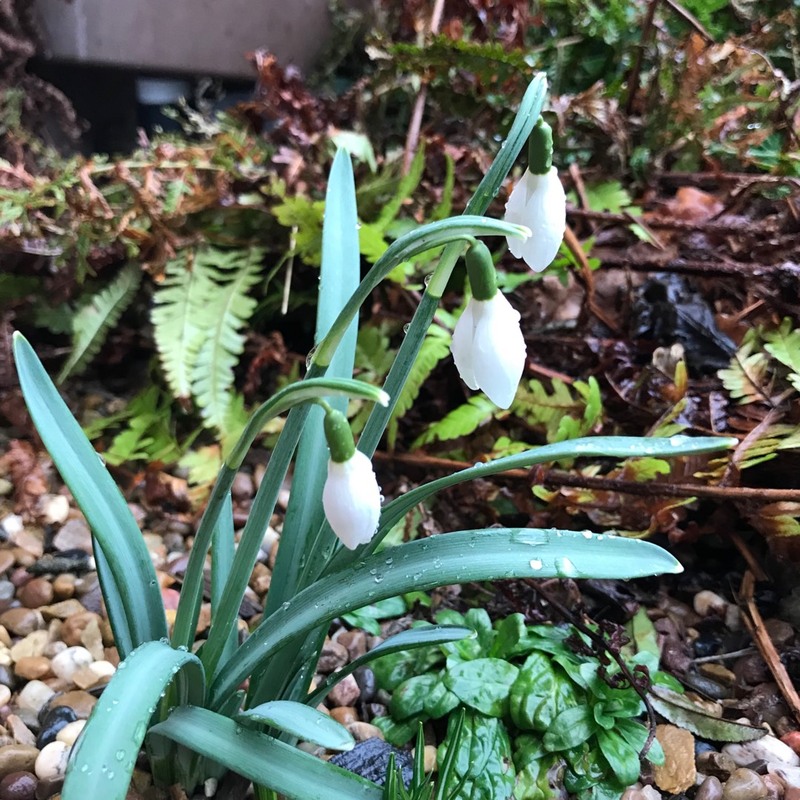 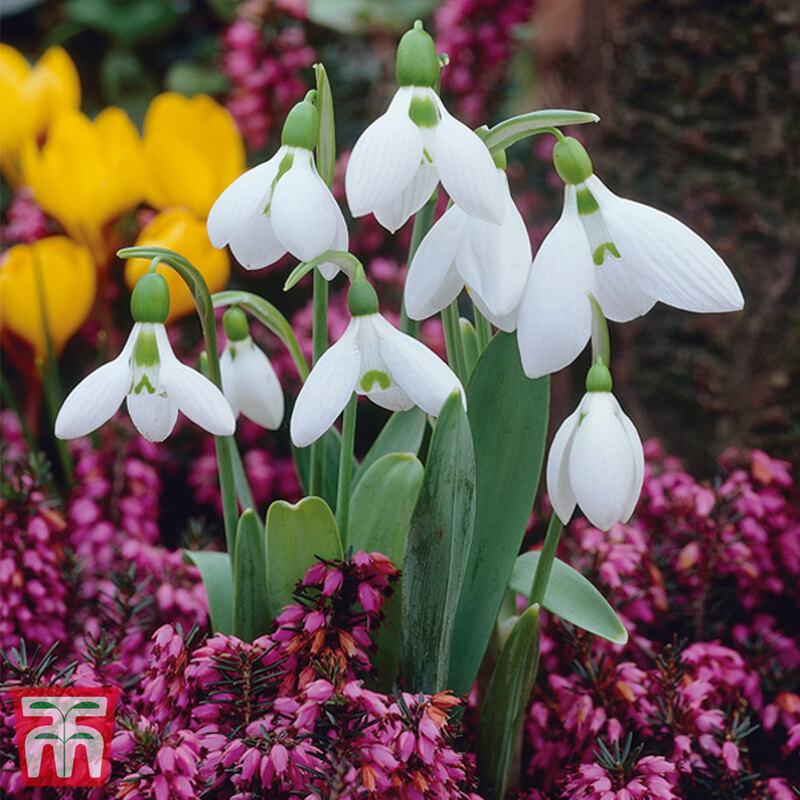 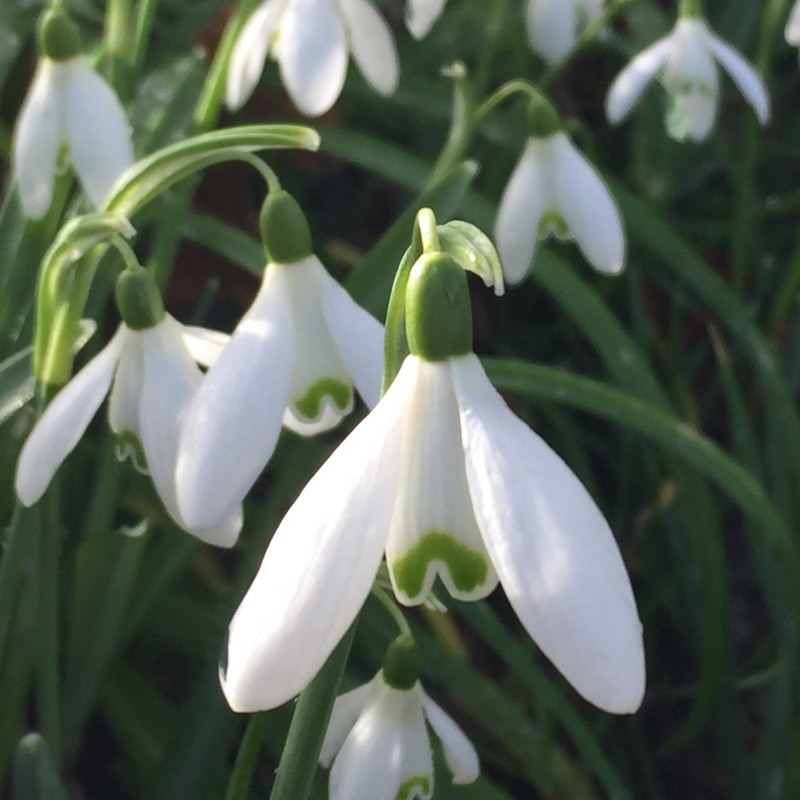 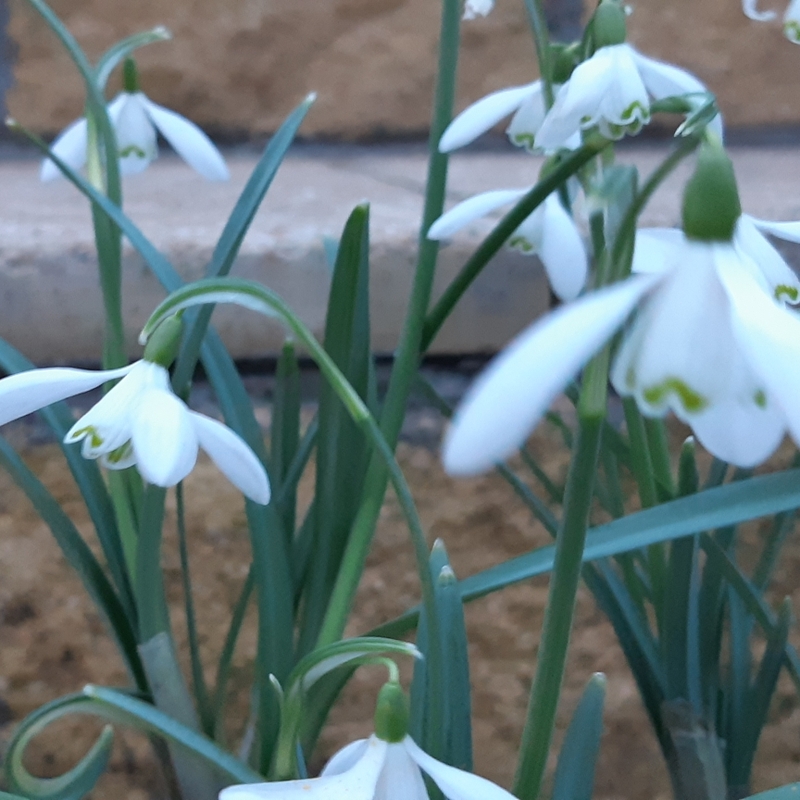 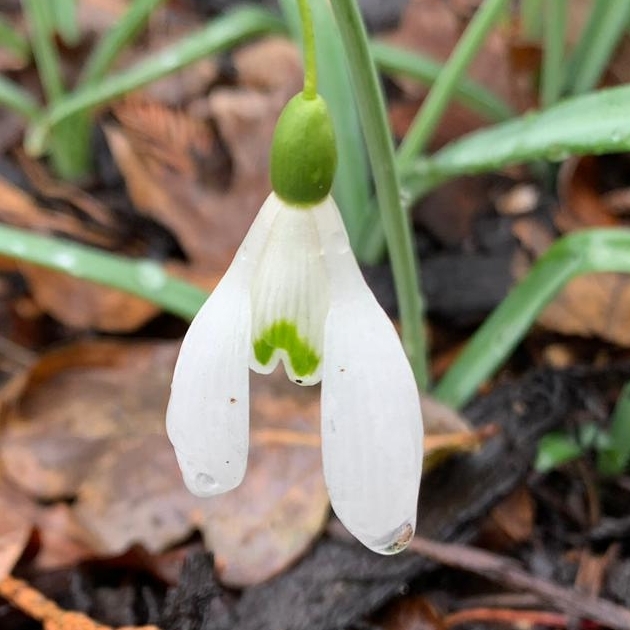 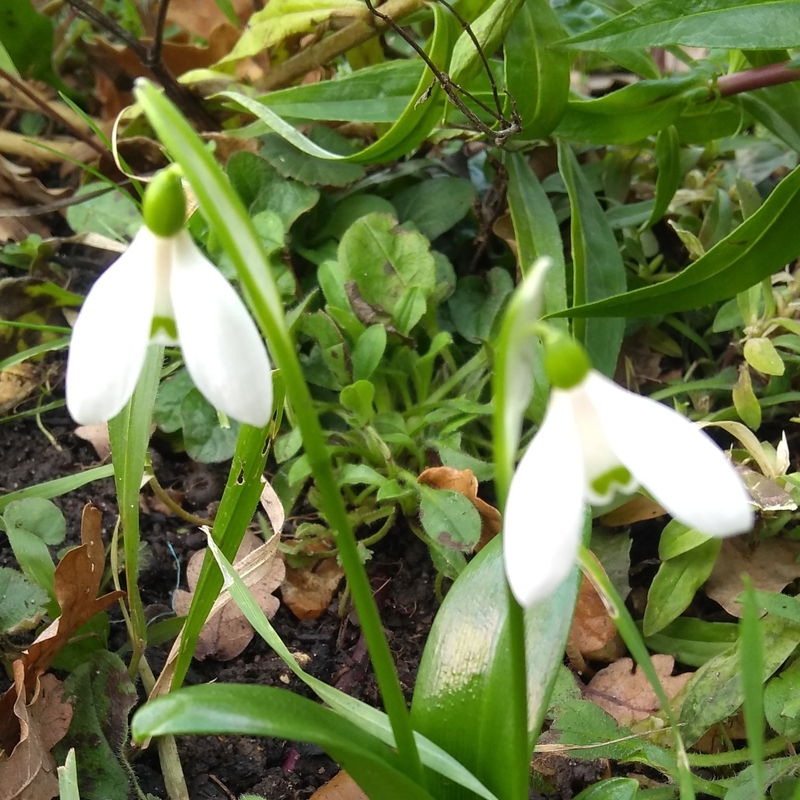 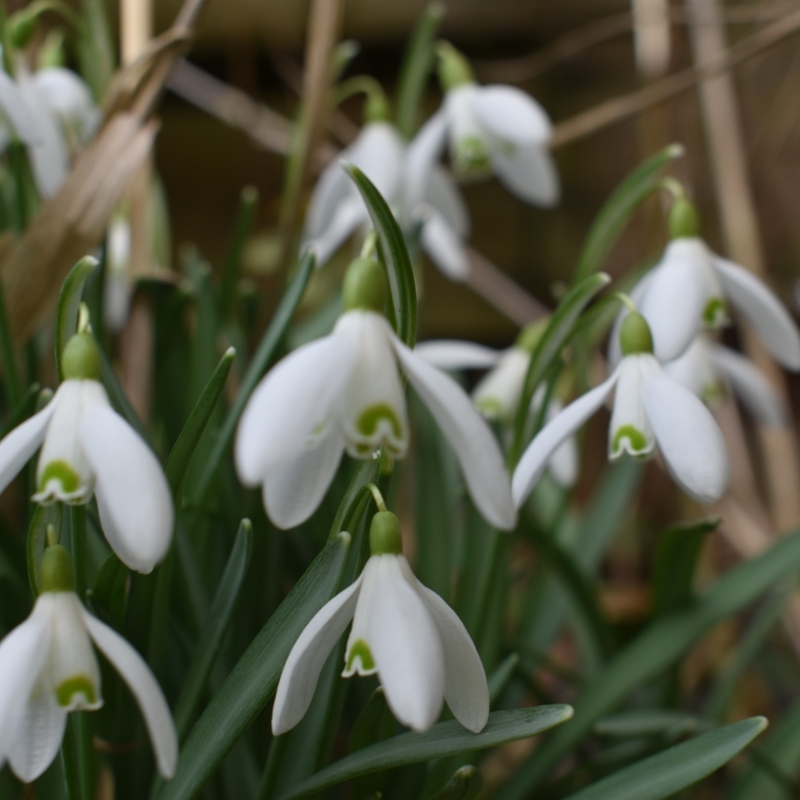 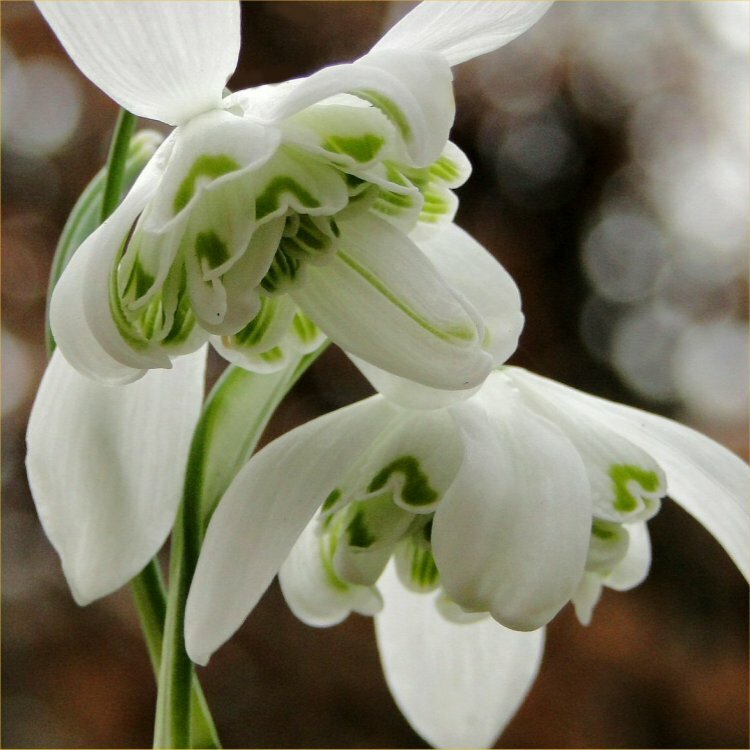 A very hardy clump forming bulbous perennial with grass like green/grey leaves of varying thicknesses and bell shaped scented flowers of varying forms and shades of white/green markings. 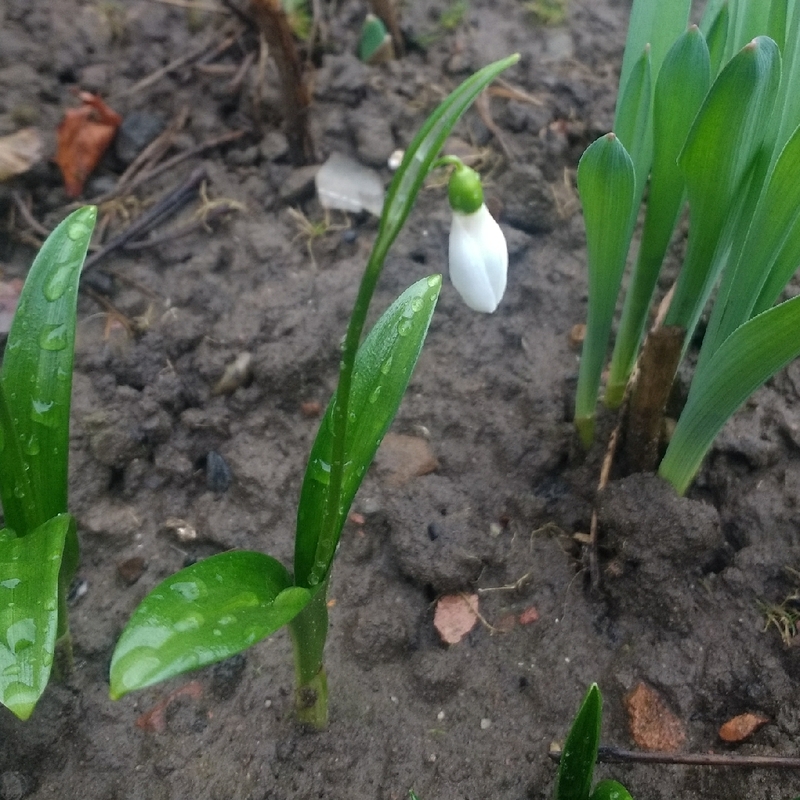 The first flower of the new year in the northern hemisphere. 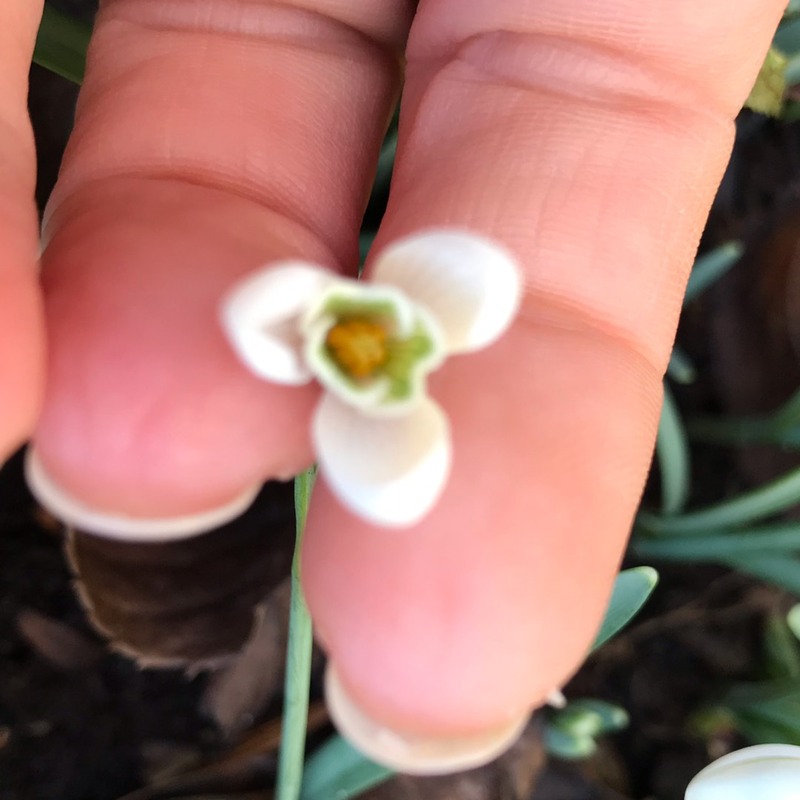 Snowdrops self seed. 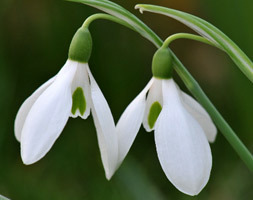 In full sun, it will survive but not increase well, it prefers moist but well drained woodland shade. 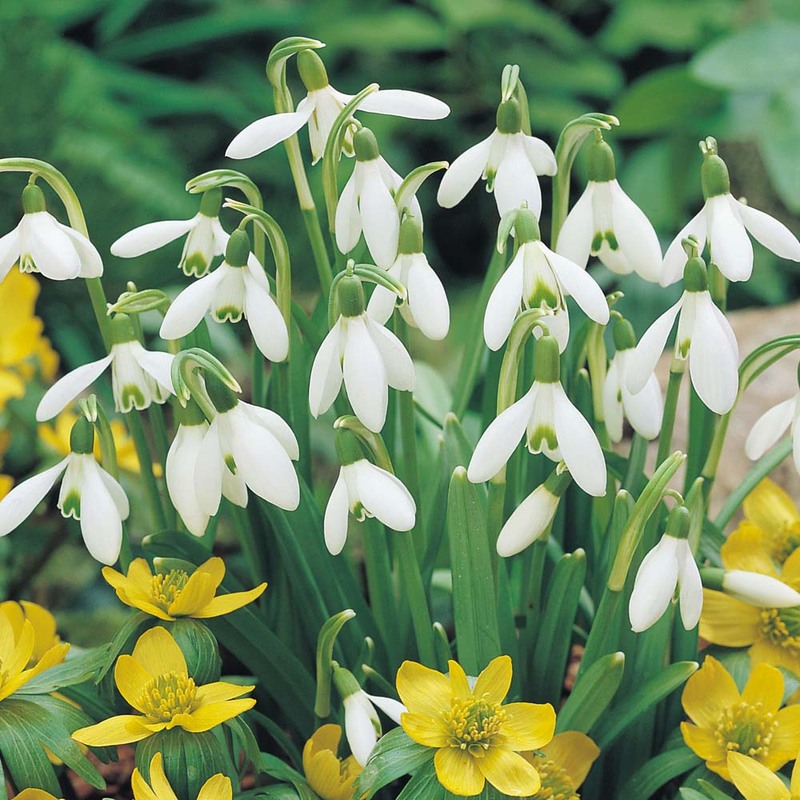 Sow seed in pots outside in a sheltered position. 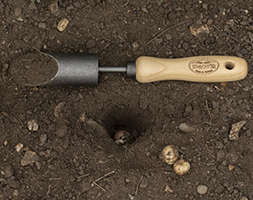 Seedlings take up to 5 years to reach maturity. 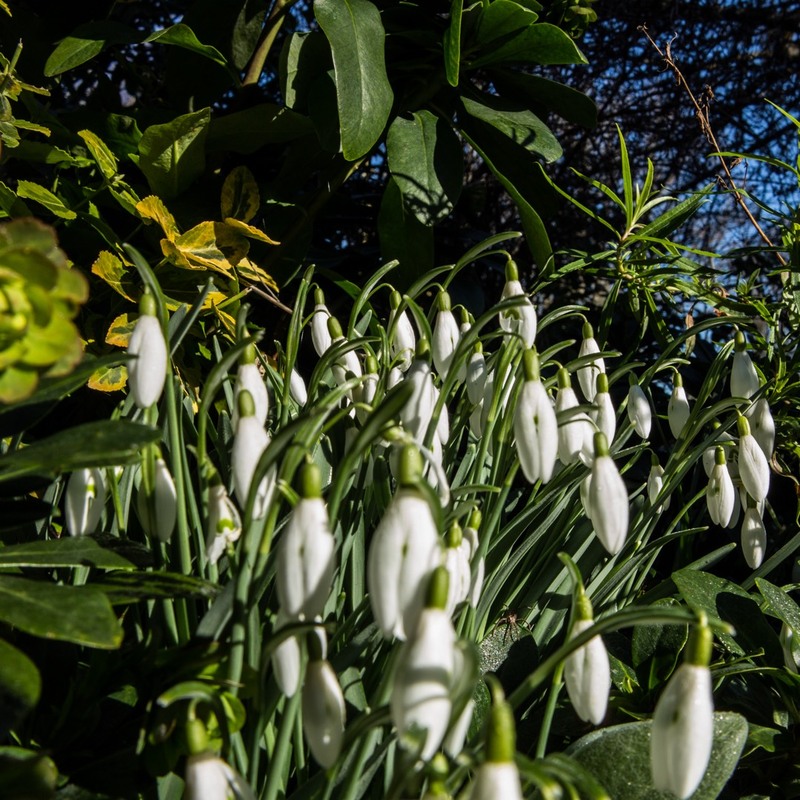 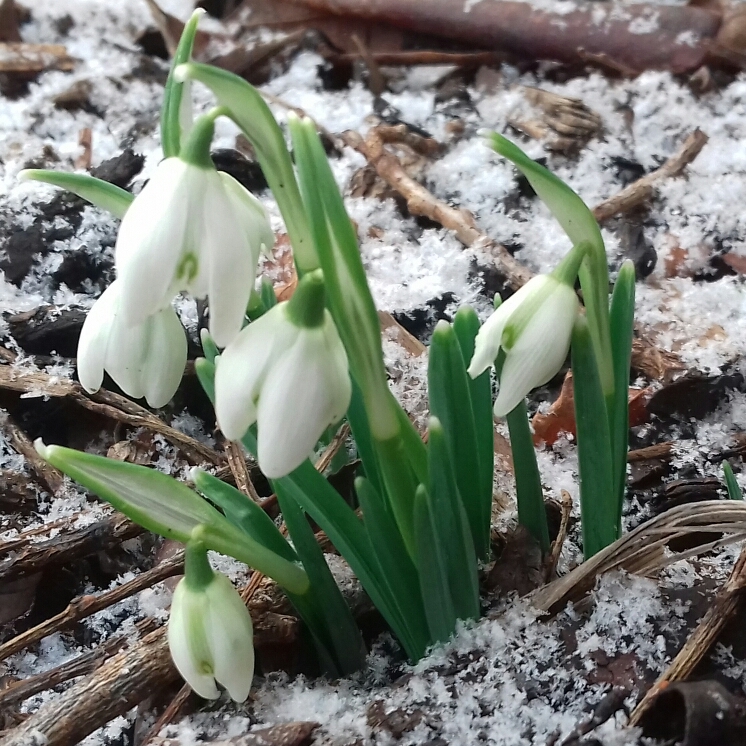 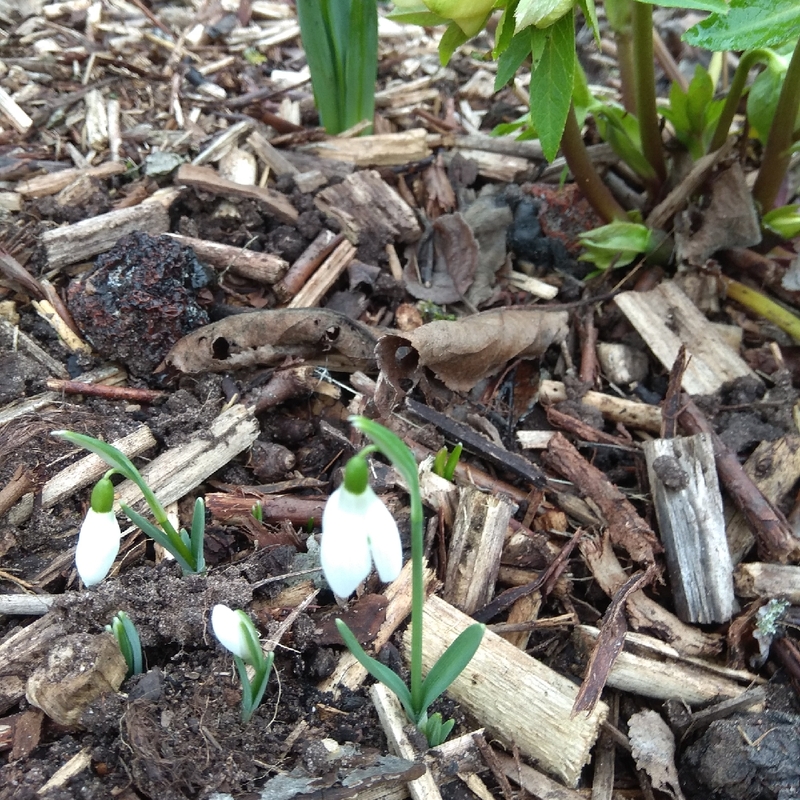 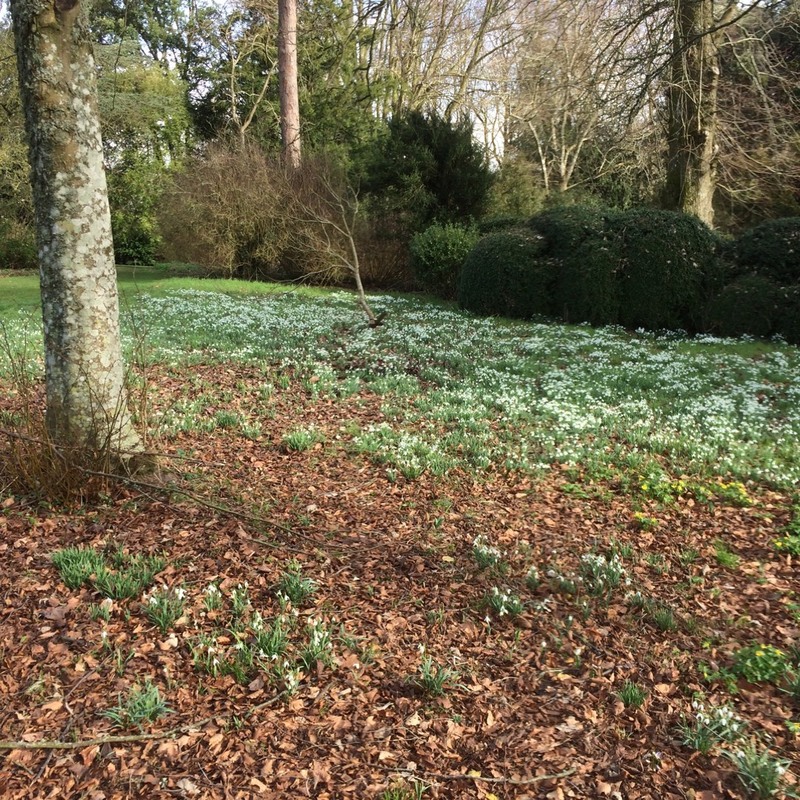 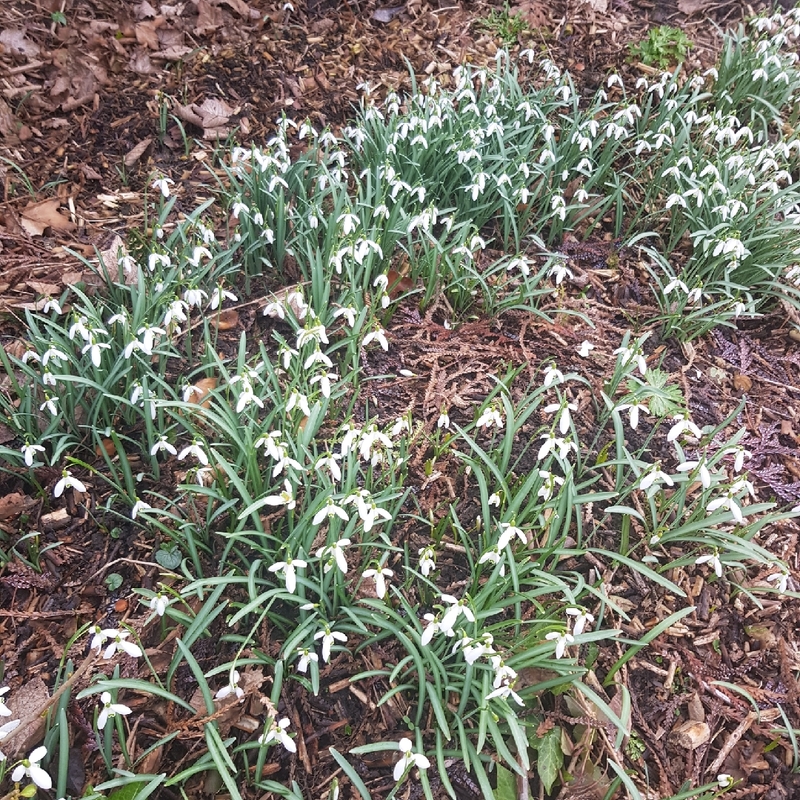 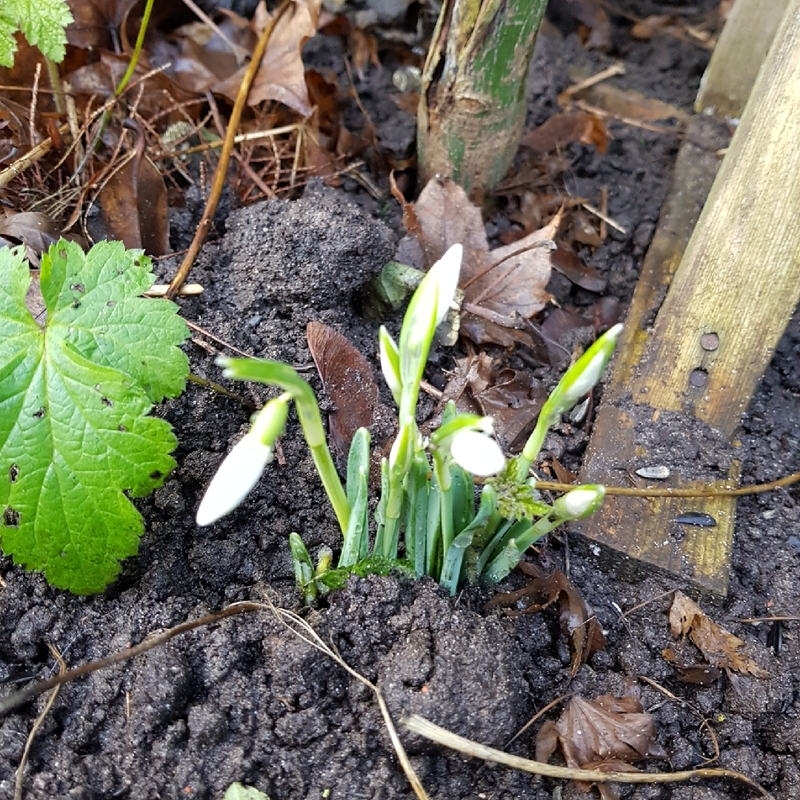 Because snowdrop bulbs dry out so easily, most horticulturalists consider planting snowdrops 'in the green' is the best method. 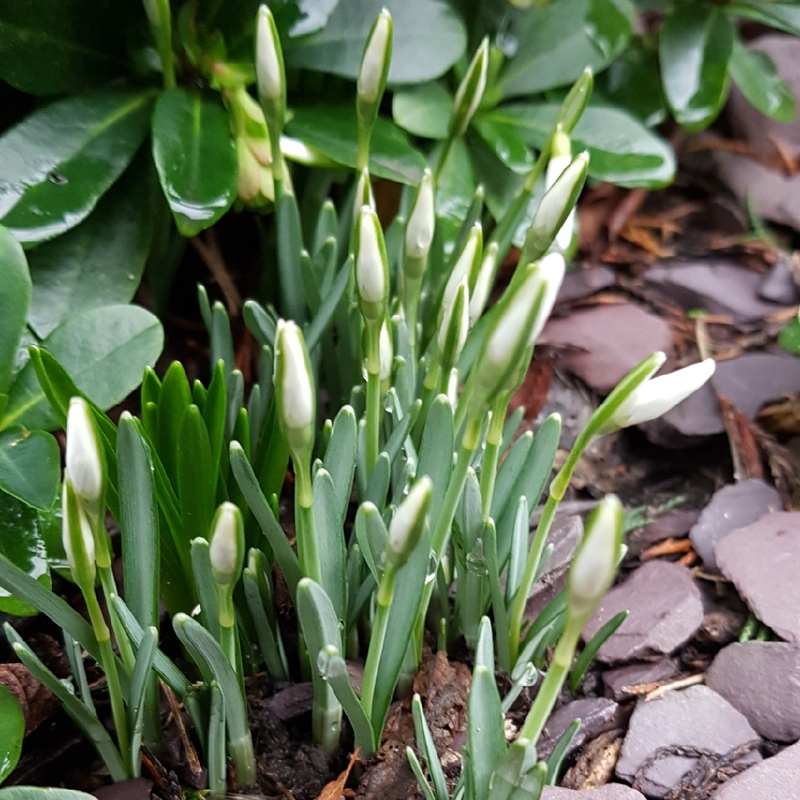 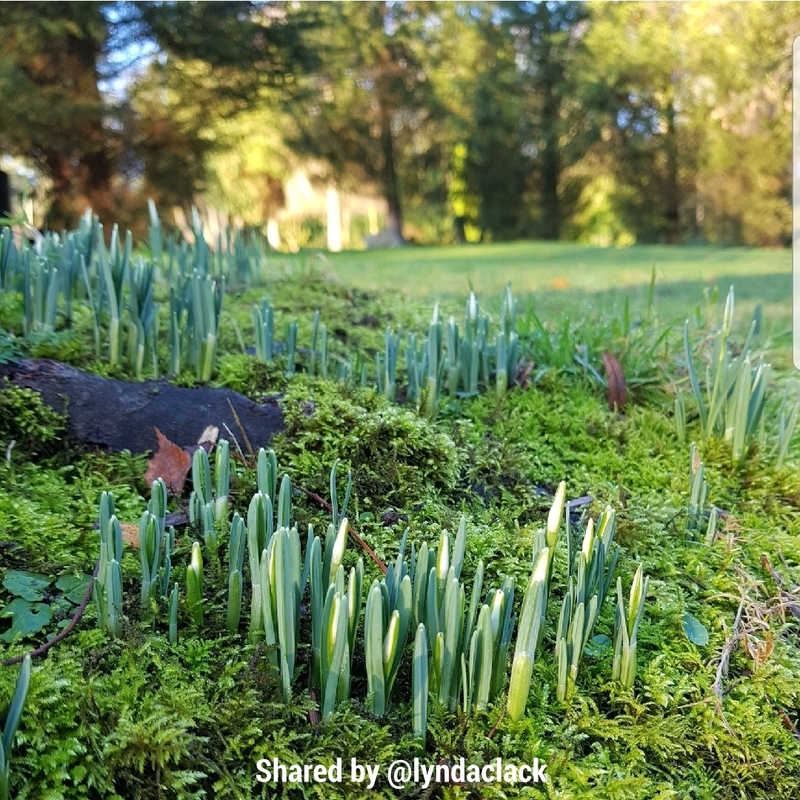 'In the green' is planting the bulbs, or clumps of bulbs, just after they have flowered, and while they still have all their green leaves. 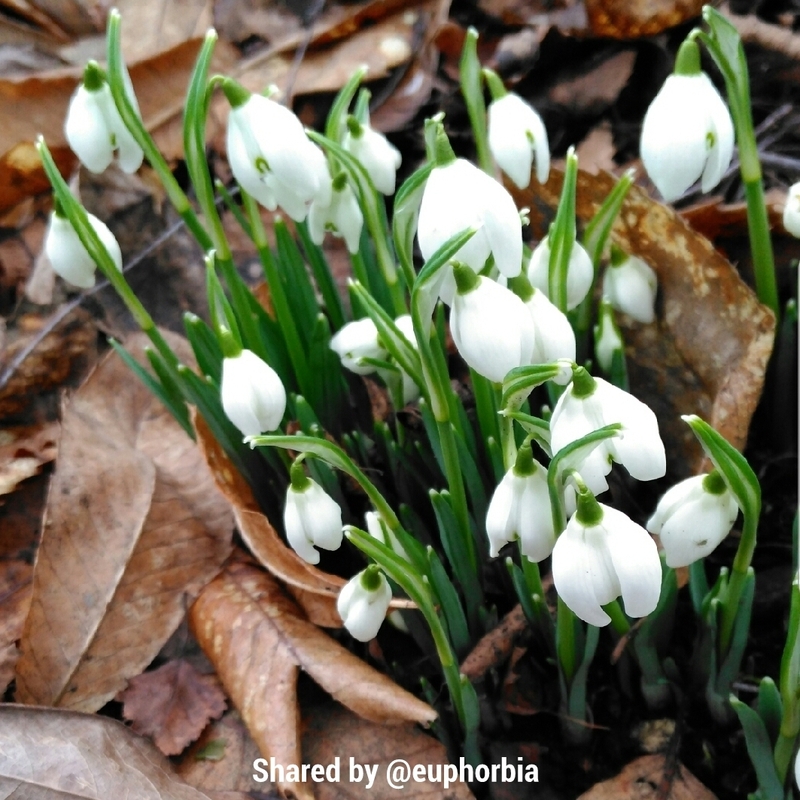 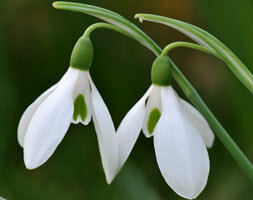 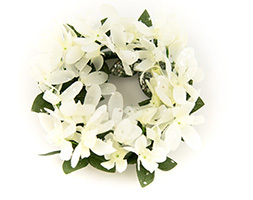 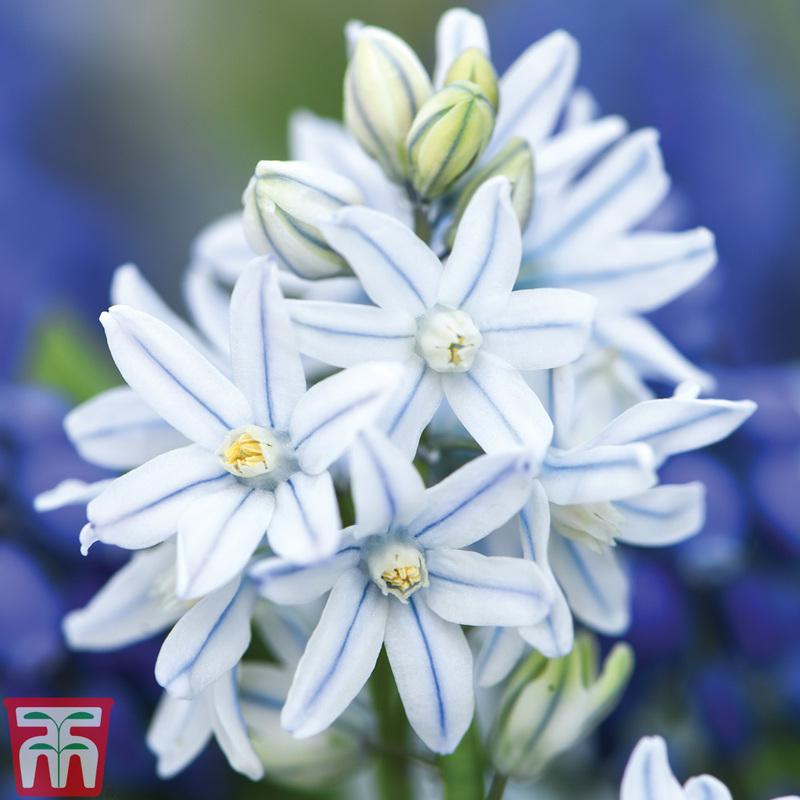 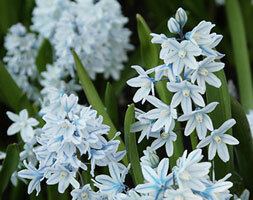 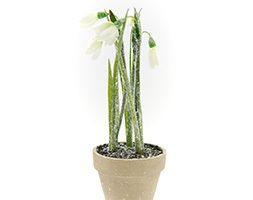 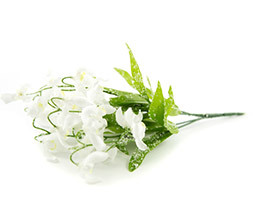 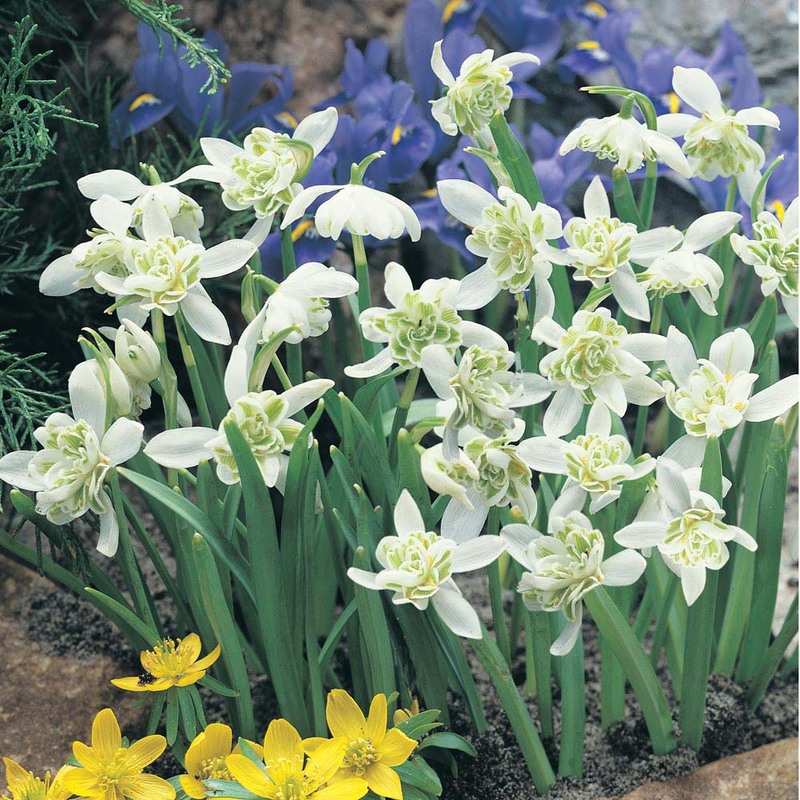 Many garden centres will now offer clumps of snowdrop bulbs 'In the green' after flowering season. Plant the clump deeply and leave them to die off naturally, they will return the following year with flowers.